This Friday and Saturday, March 28-29, I am recording my new stand-up comedy CD and DVD, The Wedding AlBUM. Come see me at Austin's The Institution Theater. To make sure my set is the very best it can be for The Wedding AlBUM CD/ DVD recording, I have been headlining every gig I can. Below are some of the best gigs that I have headlined this year. They have each helped me prepare for The Wedding AlBUM CD/DVD recording. I was 30 miles from Mexico, crafting my creepiest gestures! Bone Thugz N Harmony headlined there the following week! The crowd filling in 4 Guns N Giggles, my unofficial #SXSW comedy show promoting The Wedding AlBUM #Kickstarter project! JJG and me, hanging out with bitcoin guru/ Central Texas Gun Works owner, Michael Cargill! The Guns N Giggles show was so fun and so unique. I learned a little gun safety. I got to do a lot of gun jokes that I never ever do! I improvised a lot too. Fortunately, I captured my Guns N Giggles set on video. It will be one of The Wedding AlBUMS' DVD bonus features! At LMAO, I tightened, tightened, tightened my set! Tightened, tightened, tightened my set! 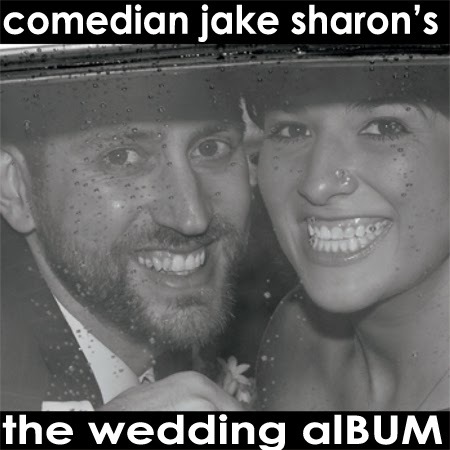 I am making sure The Wedding AlBUM is jam-packed with all your favorite Jake Sharon comedy! Boise is one of the most creative towns I get to work. Every time I am surrounded by this amount of creativity and positive energy, it just gets me pumped. After working at Liquid, I decided to stop watching TV until after The Wedding AlBUM CD/ DVD recording. I haven't watched TV in over 50 days!!!! This was one of the best decisions of my life (besides marrying Callie)! I have been ridiculously creative, motivated, concentrated, and activated! All these sets (and others) have prepared me to make The Wedding AlBUM comedy CD and DVD triumphant. I am locked and loaded. My mind is clear. My set is tight. My gestures are creepy. I even recorded some wackadoo DVD bonus features. The Wedding AlBUM is going to rock! I am humbled by the support of everyone who has made a pledge to my Kickstarter. I couldn't do this project without you! The Wedding AlBUM Kickstarter is at 106% of its funding goal- with 3 days to go! Looks like we're going to make it! To make a pledge and get your copy of The Wedding AlBUM, click here! But please do it by March 27! Time is running out! COME SEE THE SHOW, AUSTIN! For those of you who are in the Austin area, there are still some tickets left for The Wedding AlBUM CD/ DVD Recording. 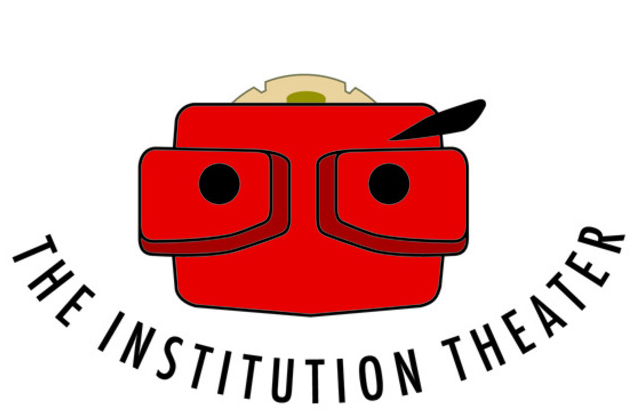 Please go to The Institution Theater's website and buy tickets there. Pro tip: save $5 by using the promo code "jakeisfantastic."